A turbo-back exhaust system will grant your turbo-diesel D22 Navara a number of benefits, giving it just that extra bit of power as well as a beefier exhaust note. 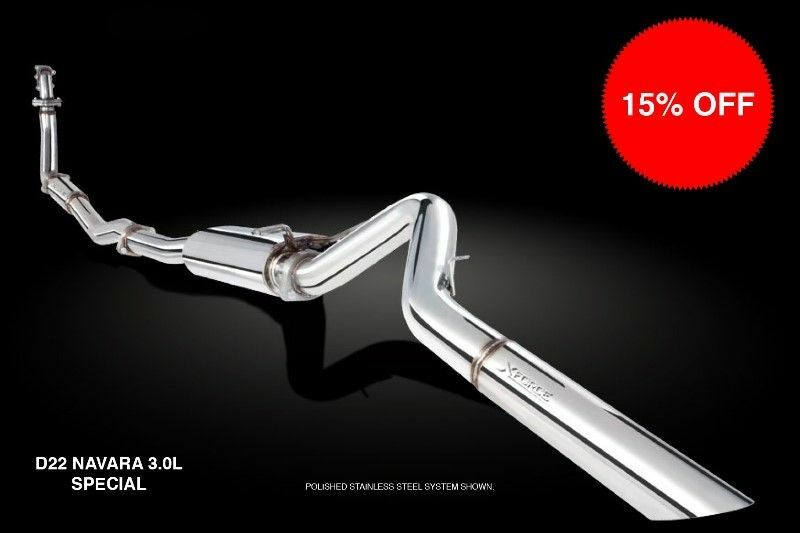 For the month of July XForce Performance Exhaust are offering 15% off selected matte/non-polished 3” turbo-back systems to suit D22 Nissan Navara 3.0L Turbo-Diesel! *Polished stainless steel system shown. Offer ends 31th July 2016 or while stocks last.